Katherine Stuart is a freelance writer from Chicago. After graduating from Georgetown University, she moved to Los Angeles to work in the film business. Currently at work on her own relationship/food/fashion blog, Stuart has written websites for a Chiropractic/Pilates facility as well as a number of feature length screenplays. The Sugar Cleanse Diet is quite simple in theory. You remove all forms of sugar and sugar products from your diet for 21 days or longer. 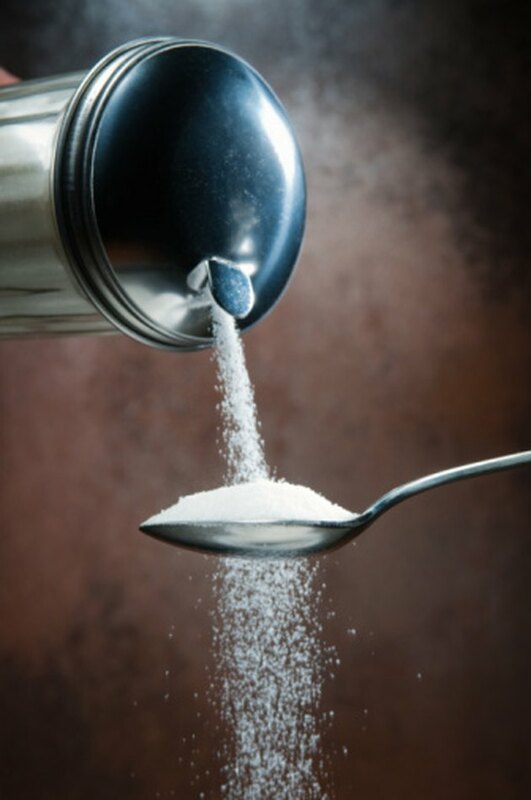 Unfortunately, sugar, in its various forms, hides in many of the foods that we eat every day, so getting rid of it is not always easy or painless, but many doctors and homeopaths agree that the health benefits are well worth it. As with any type of diet, always check with your health care provider first before starting the Sugar Cleanse. Why Do a Sugar Cleanse? The average person consumes 150 pounds of sugar a year. That’s a lot of empty calories. Furthermore, eating too much sugar triggers a release of the hormone insulin. At first, this might give you a nice jolt of energy, but over time, the metabolism becomes inefficient and you begin to feel sluggish. Too much sugar can also cause inflammation which, according to Doctors Roizen and Oz in "You on a Diet," puts you at an elevated risk for developing high bad cholesterol numbers, high blood pressure and diabetes. Start by eliminating all sodas, fruit drinks that aren’t 100 percent juice, desserts, processed foods, candy and condiments from your diet. Check food labels carefully. You want to avoid anything containing white or brown sugar, raw sugar, fructose, maltose, sorbitol, evaporated cane juice, xylitol and barley malt. This cleanse is easy to do on your own, but if you need additional help, there any number of books and sugar detox programs on the market. Try to eat three to four ounces of lean protein with every meal. This will help to stabilize your blood sugar and prevent cravings. Otherwise, indulge in complex carbohydrates, including fresh fruits and vegetables and whole grains like brown rice and legumes. Unsweetened plain yogurt with a little fresh fruit, stevia or agave is a great treat, and making your own salad dressing couldn’t be easier. Just throw 2/3 cup olive oil and 1/3 cup vinegar into an old jam jar, and shake. The benefits of the Sugar Cleanse are numerous. For starters, you’ll lose weight. You’ll have more energy and focus, feel less moody, achy and spaced out, and you’ll sleep better. Your LDL or bad cholesterol will go down, and you’ll look less puffy. If you suffer from any kind of skin condition such as acne, psoriasis, eczema or seborrheic dermatitis, your symptoms will either disappear completely or be greatly reduced. Eliminating sugar from your diet, especially if you’ve been eating a lot of it, is hard at first. You might feel tired, almost like you’re fighting the flu, and experience headaches. These symptoms should pass after the first couple of days as your body adjusts to your new regime. If, however, you feel shaky, it could be a sign of insulin resistance or hypoglycemia, so make sure to eat enough protein and stick to low glycemic foods, which includes most fruits and vegetables.